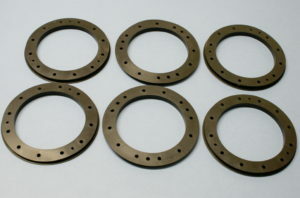 Butser Rubber are specialist ‘custom rubber gasket’ manufacturers and suppliers. Dedicated in-house gasket manufacturing capabilities, using an extensive range of Rubbers, Silicones and Sponge materials in commercial, aerospace and defence specification such as DTD, AMS, Def Stan and BS. 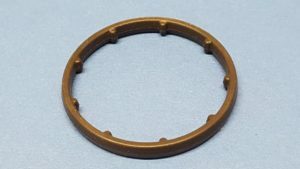 Gaskets and Seals can be manufactured using Injection Moulding for 3D designs with custom design features, or traditional ‘cropping’ from rubber sheet for 2D designs. We can take you gasket project from 1 off and prototyping through to production. 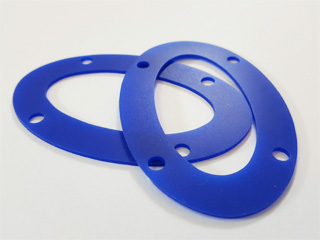 Butser Rubber can manufacture 2D ‘Punched or DXF cut’ gaskets, as well as moulded 3D profiled custom gaskets. 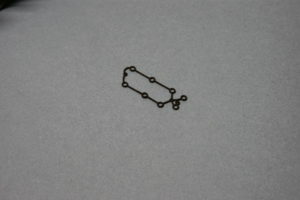 We also have a range of jigs and processes that allow us to ‘Hand Fabricate’ large and prototype gaskets. Butser Rubber customers can select from over 350 ‘off-the-shelf’ rubber and silicone materials including specialist high-temperature resistant, fuel resistant and chemical resistant materials. We can also develop new materials for customers such as our ‘loaded rubber‘ range. Our materials can meet British and European standards, MOD, WRAS, Automotive and FDA requirements. For additional information, please visit our materials page. 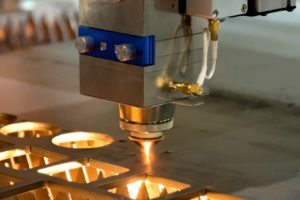 Using either laser cut tooling, hydraulic presses or DXF controlled cutting beds, Butser Rubber are able to manufacture gaskets to all industries whether your gasket requirements are standard or customised. See our gaskets in action; they are on all Airbus commercial airliners as well as every Formula 1 car! 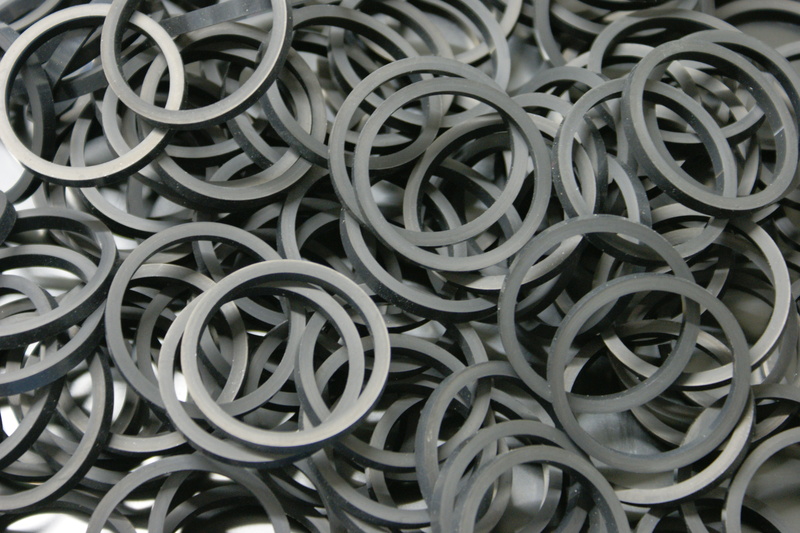 Nitrile Rubber gaskets can be found in a number of different applications. Typically, Nitrile Rubber is suitable for environments which are subject to oil and fuel. Butser Rubber can manufacture Nitrile Rubber gaskets in different shore-hardnesses and colours dependent on the application. Operating temperatures range from -30°C to 100°C. EPDM rubber gaskets are a form of synthetic rubber which provides good all-round performance against a number of environments. Our bespoke EPDM rubber gasket have particularly good weather resistance due to the chemical make-up of our rubber compound material. EPDM gaskets are typically used for Automotive seals and Marine seals due to its excellent weathering resistance. EPDM is not suitable for exposure to fuel and oil. Neoprene rubber gaskets have a range of suitable applications due to their all-round performance. Neoprene has good abrasion and strength properties which make them suitable for moving components. The operating temperature range of Neoprene gaskets is 30°C to 70°C. Our bespoke Natural Rubber compound is an exceptional rubber which is well known for its resistance to abrasion and recovery form high pressure forces. 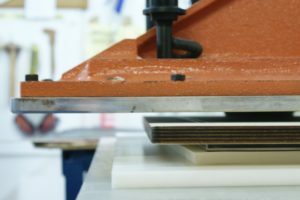 Natural rubber can be used as an anti-vibration material for industrial machinery as well as engine components. Natural rubber has poor ozone & weathering resistance and oil & solvent resistance. Excellent insulating qualities due to its thermal and acoustic properties. Viton® rubber gaskets have excellent resistance to high temperatures, oil, ozone, oxygen and mineral oil. They also provide resistance to acids, fuels and chlorinated hydrocarbons. Viton® gaskets operate extremely well in engines and compressors due to the high temperature, lubricated environment. Viton® gaskets are not suitable for ketones such as acetone and organic acids. 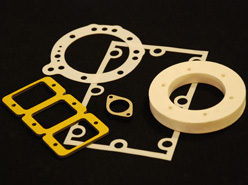 Silicone gaskets provide extremely good electrical insulation properties. In addition they provide excellent heat resistance and release properties. 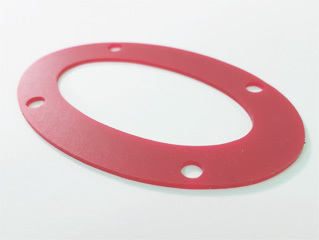 Silicone rubber gaskets are non toxic, tasteless and odorless which means they are a suitable choice for the food and pharmaceutical industries. 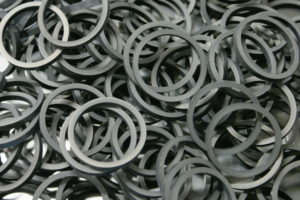 Butser Rubber can manufacture silicone gaskets to meet food grade and medical industry standards. 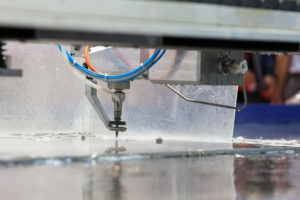 Operating temperatures between -60°C to +230°C. Excellent resistance to ozone ageing. Paper gaskets are used predominantly in the automotive industry due to their favorable oil resistance properties. 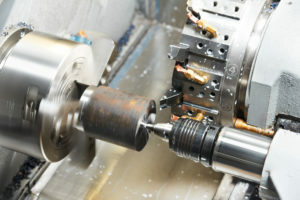 They can also be found in low pressure applications due to the reliable sealing and low cost. Butser Rubber use pre-impregnated paper to achieve resistance to water, oil, petrol, alcohol, grease and solvents. Paper gaskets can be found in engines, pumps, pipes and axles. 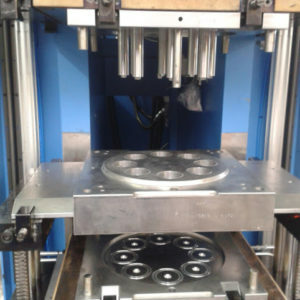 As a specialist rubber supplier, Butser Rubber has a unique gasket manufacturing advantage over other gasket suppliers, as we are able to mould custom rubber sheet to your specification from any of the rubbers mentioned on the materials page. 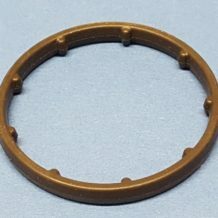 This USP allows us to supply unique rubber blends in sheet form to other UK based gasket providers, which they in turn convert into gaskets for their customers. We can do it all under one roof, allowing for a shorter lead time and a competitive price.